10/3 STW 18 In. 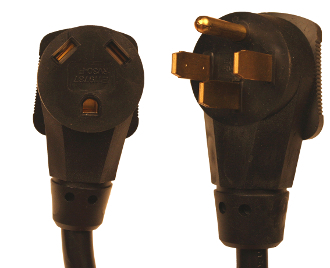 RV adapter with molded on plug and adapter. 50 amp NEMA 14-50P plug to 30 amp NEMA TT-30R receptacle, 1875 rating watts. 3 wire cords, super duty construction.